Even though the definition of family has changed over the years, it is still the thing that keeps us going and the thing we treasure most. Our favorite sessions are those that include as many of those important things in them as possible. Dogs, cats, kids, houses, boats, cars. Whatever you love to do, wherever you love to do it. This session includes a digital version of all images in two files sizes, for printing and sharing on social media. Retouching of five images and a $100 credit for prints are included. Your images will be posted online for selection. Cost for the Classic Family is $595. 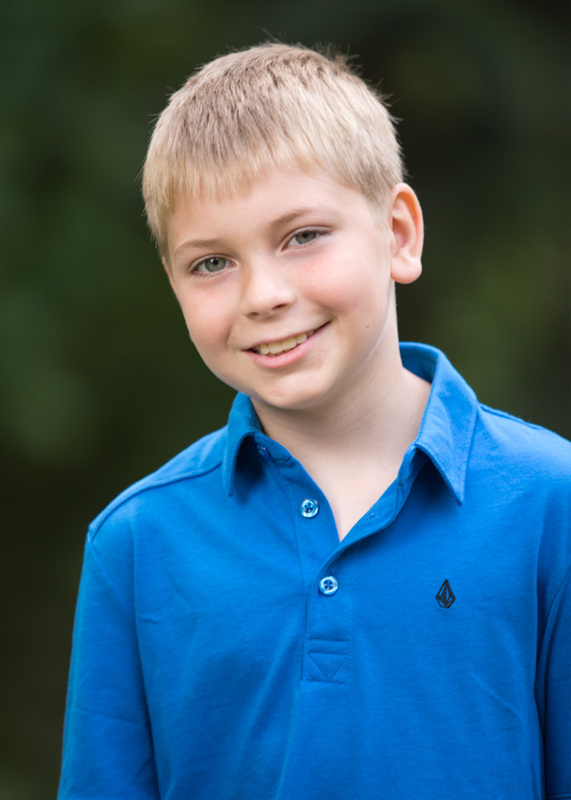 Home sessions are some of our most popular, largely in part because they do include a lot of those important things. Kids are in their element, and tend to be more relaxed. We can capture different groupings and areas, pets can be included easily, there's really no downside. Our location sessions can take place at Washington Park, the Pearl District, a favorite park, or here in the West End. When we schedule your appointment we will ask you to tell us which setting you prefer. Although the weather isn't always perfect, you might be surprised to know that we get outside for photography almost every month of the year. Studio sessions include access to a wide variety of background choices. Studio sessions can accommodate up to 10 people. 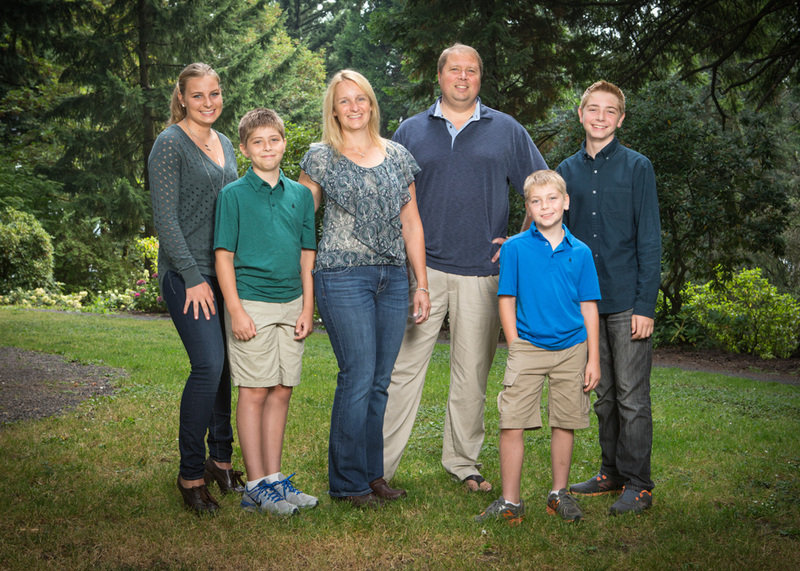 When large family groups come in together, we encourage you to take advantage of the session and photograph smaller family groupings at the same time. Pets, kids, nannies, friends, all are welcome to join your session. For kids the studio is a great place to treat them to a session all their own. Fun props, tunes and treats are all part of the package. 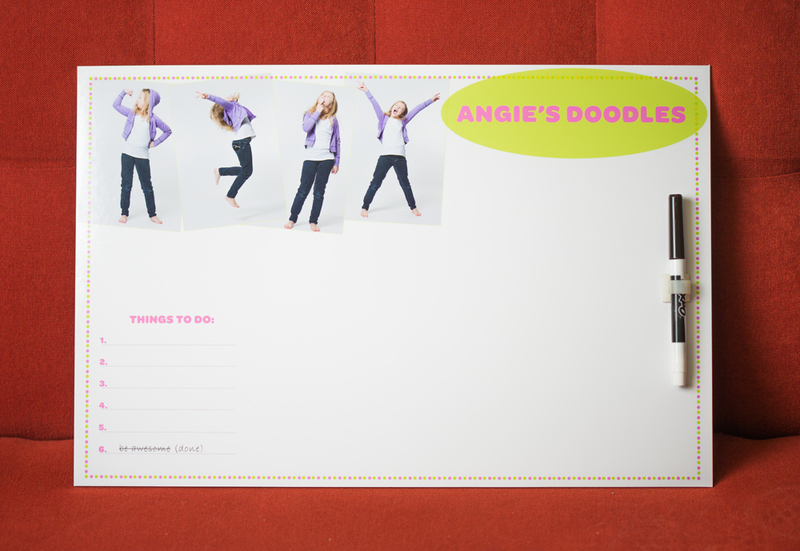 Our fun products like custom dry erase boards get to show off the good time they had.